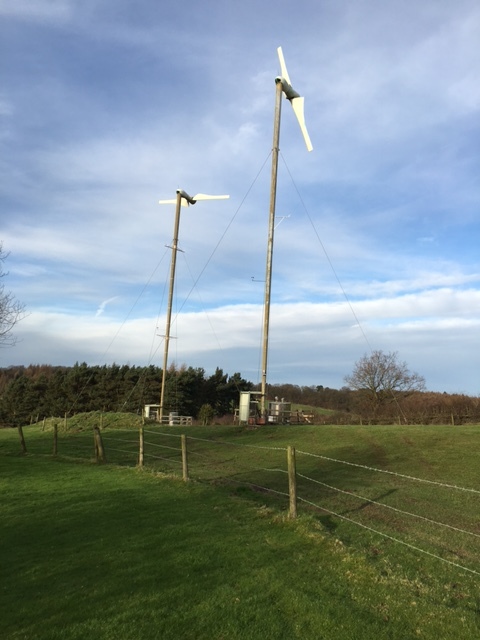 The largest generators of sustainable energy at West Beacon Farm are two fixed pitch 2-bladed wind turbines. 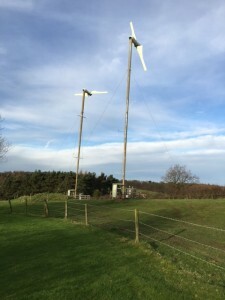 These are rated at 25kW each and were installed in 1990 at a cost of £60,000. Over a typical year these turbines will generate 40-50 mWh of electricity. At 25 years old, they both require regular maintenance now, but over the course of their lifetime they have contributed over a gigawatt of power, paying for themselves both ecologically and financially many times over.